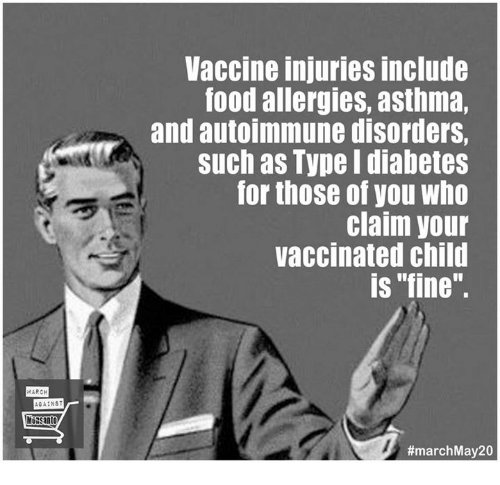 After all, there are viral, bacteriological, chemical, and even foreign heavy metal debris in various vaccinations being administered to people of all ages including infants, who are the most susceptible to adverse and potentially life-long effects from vaccinations. So, for instance, we’ve already seen a tremendously troubling explosion of childhood autism rates that have skyrocketed in the past 25 years and continue to climb every year. Most doctors, however, trained as they are to be paid pharmaceutical drug pushers are at a loss to explain what causes autism, and any suggestion that certain vaccines might have something to do with it is met with either stubborn disbelief or callous indifference. And yet, clearly there ought to be grave concerns regarding the actual ingredients in the MMR, Pertussis, Influenza, Polio, DPT, and every other vaccine being injected in ever growing numbers into people at very young ages. The years spanning 1948-1975 that this chronology covers were extremely crucial years in vaccination history. It was, after all, in this post-WWII period that the pharmaceutical cartel made some of their biggest gains in spreading the propaganda that vaccines were miracles of modern medicine rather than the toxic cocktail of viruses, chemicals, and heavy metal adjuncts that they actually were. 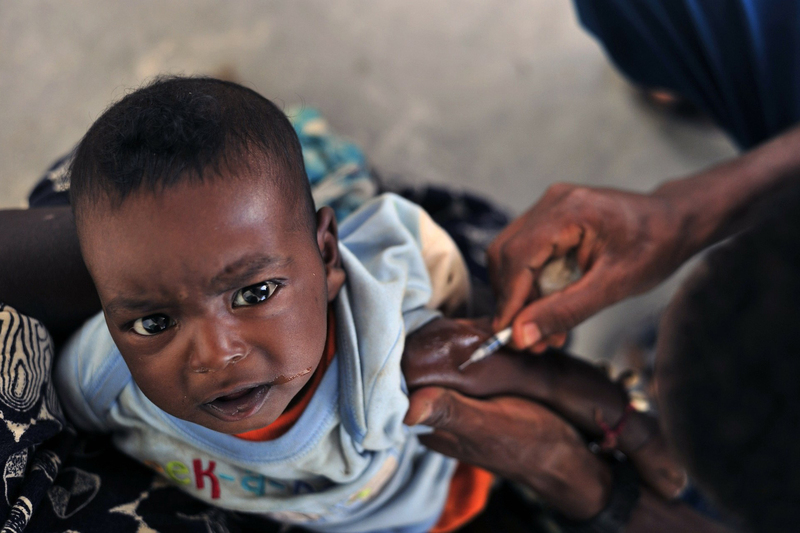 In addition to the usual litany of serious neurological injury and death that followed mass vaccination (especially among children), it was also during this period that the US developed an understanding of how to use vaccinations in targeted covert operations directed against Third World peoples as well as domestic marginalized groups. From the government’s point of view, they were considered expendable and to be used as scientific guinea pigs such as the black people of the Tuskegee experiment, who were denied real treatment for syphilis that in the past the US has been known to inject into poor populations outright. This was also the beginning of heavy research into “race specific” synthetic viruses that could be developed as part of what you could call a new era of biological warfare that would have the advantage of being virtually untraceable. And finally, it was during this period that we are able to trace the beginnings of the AIDS epidemic that hit Central Africans and homosexuals in the US around the same time. 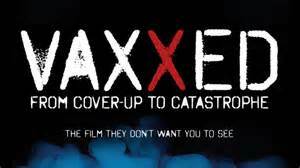 Here again, HIV/AIDS has all the hallmarks of a bio-engineered virus, and its emergence can be directly traced to the WHO administering smallpox vaccines to Africans in the Congo and the hepatitis B vaccine trials involving homosexual men in New York and San Francisco. For all the relevant details (that I don’t have the space to cover here), I encourage you to read the book, Emerging Viruses: AIDS & Ebola by Dr. Leonard G. Horowitz. 1948 Randolph K. Byers and Frederick C. Moll of the Harvard Medical School publish an article describing children who had suffered brain damage after receiving Pertussis vaccine. The findings provided the first clear evidence that the vaccine caused serious neurological complications in children. 1948 Randolph Byers and Frederick Moll of Harvard Medical School validate that severe neurological disorders follow the administration of DPT vaccine. The research was performed at Children’s Hospital in Boston and published in Pediatrics magazine. Nothing was done by physicians to halt the use of DPT vaccine. 1948 A study of Pertussis vaccine reaction is done by Randolph K. Byers and Frederick C. Moll of the Harvard Medical School. They examine 15 children who had reacted violently within 72 hours of a Pertussis vaccination. All the children were normal before the shot. None had ever had a convulsion before. One of the children became blind, deaf, spastic, and helpless after being given the Pertussis shot. Out of the 15 children, two died and suffered from damage to their nervous system. 1948 England bans smallpox vaccine. 1948 Louis Sauer makes an interesting observation at an AMA meeting where Pertussis vaccination was discussed. Louis Sauer points out that “the neurological damage caused by Pertussis vaccine is the same as the damage caused by Pertussis (whooping cough).” This is logical because they use the bacteria in the vaccine. According to Sauer, “a customary prophylactic dose of Pertussis vaccine seems to illicit a chain of nervous system reactions and in some cases irreversible pathological changes in the brain. These findings resemble those encountered in cases of severe whooping cough (Pertussis).” In other words, the vaccine is causing the disease condition. 1949 AMA Council of Pharmacy and Chemistry goes on record to deny that dietary changes could have anything to do with prevention or treatment of cancer. 1949 U.S. Public Health Service Division of Biologics Standards establish a national potency test for Pertussis vaccine, and modify it in 1953 to establish potency limits. Despite this, the Pertussis vaccine that is pronounced “safe” still causes minimal brain damage (MBD) in humans. 1951 Theiler wins Nobel Prize for work on yellow fever vaccine. 1952 Albert Lasker, who manages the ACS, dies. Mary Lasker lobbies Congress for funds “to fight cancer,” and the National Cancer Institute Budget goes from $18 million per year to $110 million per year- half involved with the chemotherapy paradigm. 1952 Formulation of the polio vaccine begins. Tens of millions of doses of polio vaccines produced from virus grown in monkey cells infected with SV-40 (Simian Virus #40). Scientists perform experiments in laboratories to determine the correct doses of antigen and supplementary chemicals to use in the polio vaccine. (Ironically, since the scientific premise of the vaccination is faulty, a “correct dose of the antigen and chemicals” does not exist). 1953 In the United States, Senator Charles Tobey begins a Senate investigation into the cancer industry. U.S. Justice Department attorney Ben Fitzgerald is hired as special council. Fitzgerald’s report concluded that “the AMA, in direct collaboration with the National Cancer Institute and the FDA, entered into a conspiracy to suppress alternative, effective cancer treatments.” Said Fitzgerald, “if radiation, surgery and drugs are the complete answer, then the greatest hoax of the age is being perpetrated upon the people by the continued appeal for funds for further research.” Senator Tobey is dispatched with a “convenient heart attack” as has happened to others who threaten the cancer industry. Tobey’s replacement, Senator John Bricker, orders Fitzgerald to stop the investigation. Fitzgerald refuses and is fired. The investigation is halted and buried. 1953 At the University of Zurich, Dr. S.Kong of the Pediatric Clinic compiles a list of 82 cases of Pertussis vaccine damage from world literature. 1953 Pertussis vaccinations in France, Chile, Austria, Holland and the Scandinavian countries are positively correlated with cases of autism. U.S. ignores data. 1953 The Swedish conduct a study on the Pertussis vaccine. Anna L. Annell, a Swedish researcher, writes a major work on Pertussis which indicates that “pertussis vaccine may be associated with the most varying kinds of cerebral complications which may be cortical, subcordical, or peripheral.” Encephalitis after vaccination is known to produce the same range of disabilities and impairment. Annell also wrote, “during the past few decades certain of the epidemic children’s disease, measles in particular, have shown an increased tendency to attack the central nervous system. After the 1920’s a large number of cases involving CNS damage were reported. 1954 Salk vaccine begins to be given to school children in Philadelphia. 1954 Parke-Davis pharmaceutical company combines the DPT shot with Polio vaccine. The new combination of four vaccines is called Quadrigen. 1954 Nobel prize to Enders and Robbins for work on polio virus. 1954 General vaccination programs against Polio begin in the United States. 1958 World literature now contains 107 cases of severe reaction to Pertussis vaccine (93 of those cases were in the U.S.). At the Fountain Hospital in London, Dr. J.M. Berg analyzed the 107 cases and found that 31 of them showed signs of permanent brain damage. Berg calls attention to the danger of mental retardation as an effect of the Pertussis vaccine and emphasizes that “any suggestion of a neurological reaction to a Pertussis vaccination should be an absolute contraindication to further inoculation.” The United States medical establishment ignores and suppresses the data. American physicians maintain that the damage caused is small compared to the “lack of ‘serious’ reactions in children vaccinated.” No data has been found to justify a basis for this conclusion. 1958 Verdict of $147,000 rendered against Cutter Laboratories in California for the crippling of two children with the Salk polio vaccine. Cutter Labs was the only vaccine manufacturer not part of the Rockefeller Trust. 1958 Survey of 13,000 adolescent boys in Philadelphia who had been vaccinated, 7.5% were associated with crime. 1959 The United States never conducts its own clinical trials on Pertussis vaccine, but instead relies (as it still does today) on data collected by Britain’s Medical Research Council in clinical trials in England in the 1950’s for “proof of vaccine safety and effectiveness in newborns and children.” Interestingly, Britain’s trials on 50,000 British children were performed on children more than 14 months old. None were newborns. 1959 National Institutes of Health (NIH) approves licensing of Quadrigen vaccine for children, containing Pertussis, Diphtheria, Tetanus, and Polio vaccines. The new combination vaccine was found to be highly reactive and was withdrawn from the market in 1968 after parents started filing lawsuits against Parke-Davis for vaccine damaged children. 1959 Dr. Albert Sabin develops oral live virus polio vaccine. 1959 Pertussis vaccine found to have allergenic effect on animals. 1960 General vaccination program for measles begins in the US. 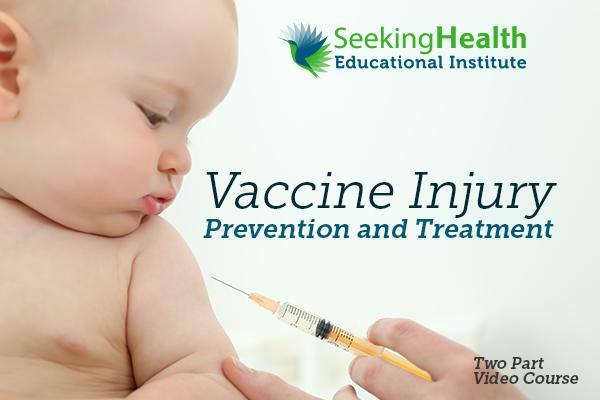 1960 It is estimated in 1960 that over 1,000,000 children have vaccine-caused disabilities, including learning difficulties and school behavioral problems. They also have allergies, speech difficulties, visual problems, and difficulties in adjustment and coping. 1961 A senior school medical officer in northern England, J.M. Hooper, finds that parents are beginning to refuse to bring children for a Pertussis booster shot, based on earlier violent reactions to the vaccination. Children were suffering from collapse, vomiting, and uncontrollable screaming. No one paid attention to these warnings. 1961 Sabin polio vaccine immunization campaign. 1967 The FDA stops the use of an experimental cancer vaccine which was producing significant results. Developed by James Rand and Ernest Ayre, a recognized cancer specialist. The Rand vaccine produced significant improvement in terminal patients in over 30% of patients. It cured tumors and breast cancer in four to six months without radiation, surgery, or chemotherapy. The FDA Commissioner was James L. Goddard, the same man who persecuted the use of DMSO. Goddard used the DMSO issue in 1966 in an attempt to foster a medical dictatorship in the U.S. in collusion with the medical and pharmaceutical industries and remove viable treatments from public access. 1967 Justus Strom writes that his earlier article about Pertussis reaction in a 1960 issue of the British Medical Journal had aroused considerable attention and criticism, noting, “the vaccination reactions may be regarded chiefly as manifestations of a toxic effect- an individual predisposition of some significance.” Strom reports on 167 cases of severe reactions to the DPT shot in Sweden. 1967 Dr. Vincent Fulginiti, M.D., former chairman of the American Academy of Pediatrics Committee on Infectious Diseases, asserts that inactivated measles vaccine should no longer be administered. 1967 Killed measles vaccine is discontinued in the United States. 1967 General vaccination program for Mumps begins in US. 1969 Federal inspectors hold back 130,000 cattle carcasses for removal of carcinomas and cancer of the eye. 1969 Mary Lasker initiates “the War on Cancer”, eventually resulting in Nixon signing it into law in 1971. It would provide vast taxpayer dollars to the NCI and derivative benefits to the ACS. 1969 Dr. Harlan Jones, professor of medical physics and physiology at the University of California, states that according to carefully researched statistics, cancer patients who did not receive surgery, chemotherapy, or radiation had a greater life expectancy than the ones who did receive “treatment” by about four times. 1969 Diphtheria outbreak in Chicago. The Chicago Board of Health reports that 37.5% of the Diphtheria cases had been fully vaccinated or showed immunity. 1969 Neurologically defective 4 and 5 year old children begin to appear. 1969 Melchior describes 22 children in which there was a close temporal connection between various vaccinations, especially Pertussis, and infantile spasms. 1969 U.S. Department of Defense sought funds from Congress to create a synthetic biological agent that does not normally exist and for which no natural immunity could have been acquired. Funds granted in 1970 Appropriations. 1970 Due to the increasingly mild nature of whooping cough (Pertussis), infant deaths cease from naturally acquired Pertussis in Sweden. Deaths associated with vaccines continue. Sweden stops Pertussis vaccination in 1970. 1970 A study by Pittman reveals Pertussis vaccine can induce hypoglycemia due to increased production of insulin. Study is corroborated in 1978 by Hannick and Cohen and by Hennessen and Quast in West Germany. Result: Pertussis and DPT vaccines can cause diabetes. 1970 FDA Commissioner Dr. Herbert Ley blows the whistle on the FDA and its corrupt relationship with the medical and pharmaceutical cartels. It is ignored by an intimidated government. Ley is forced out and replaced. 1970 Carl A. Larson publishes an article, “Ethnic Weapons,” in Military Review, 11/70. 1971 A study by Stella and Chess reveals that children with congenital rubella frequently display classic autistic features, including impaired ability to relate new stimuli to remembered experience. 1971 The CIA infects pigs in Cuba with African Swine Fever, a deadly disease. The entire swine population of Cuba is slaughtered to protect humans. A second such epidemic in 1980 in Cuba, with equally devastating consequences, was of unknown but suspicious origins. 1972 A mysterious epidemic of dengue hemorrhagic fever hits Cuba and affects 300,000 Cubans. More than 150 die, including over 100 children. Evidence exists that the CIA released dengue-infected mosquitoes on the island. Court testimony in 1984 by Cuban counter-revolutionary terrorists supports this conclusion. 1972 United States Agency for International Development (USAID) makes contact with the old Sterilization League of America, now called the “Association for Voluntary Surgical Contraception”, which is paid by the U.S. government to sterilize non-whites in foreign countries. 1972 Dr. Dean Burk of the National Cancer Institute declares in a letter to a member of Congress that high officials of the FDA, AMA, ACS, and US Dept. of Health, Education, and Welfare (now HHS) were deliberately falsifying data and information, lying, committing unconstitutional acts and in other ways thwarting potential cures to which they were opposed. (Letter to Congressman Louis Frey Jr. also dealt with the issue of laetrile, a non-patentable natural product opposed by the California Medical Association, who only sanctions the use of dangerous or toxic treatment for cancer). 1972 WHO Bulletin No. 47 refers to creation of an immune virus (see 1969) and suggests that a useful way to study effects would be “to put it into a vaccination program and observe the results.” It is theorized that WHO used the smallpox vaccination program in Central Africa for this study, since the spread of HIV infection coincides precisely with the most intense and recent smallpox vaccination campaigns. Information on the Central African countries most infected with HIV precisely matches WHO figures indicating the number of people vaccinated in these areas. The virus requested would selectively destroy the T-cell system. (1972 Federation Proceedings of WHO). 1972 British Journal of Psychiatry #120 reveals that “psychotic disorders may be caused by viral infections.” (Ref: viruses induced by vaccines). 1975 A 1975 military manual predicts the development of “ethnic chemical weapons which would be designed to exploit naturally occurring differences in vulnerability among specific population groups.” (Ref: “Biological Weapons and Third World Targets,” Science for the People, July-August. 1981, pp. 16-20). 1975 The British medical journal Lancet reports on a study which compared the effect on cancer patients of chemotherapy or no treatment at all. No treatment proved significantly better policy for patient survival and quality of life. 1975 Japan stops using Pertussis vaccine following publicity about vaccine-related deaths. I maintain that the widespread use of vaccines by the pharmaceutical cartel and the medical-associated governmental agencies that back and support it is the most insidious and indeed one of the deadliest frauds ever to be foisted onto a trusting public. Study after study has consistently shown that vaccines are far more dangerous to a person’s prospective health, particularly children and the elderly, than any so-called immunity that they’re reported to confer. In fact, comparative analysis between various vaccinated and unvaccinated populations, when viral infections of one kind or another occur, often reveal no real improvement among the vaccinated population. Quite often, those that are vaccinated develop the very infectious disease that they were supposed to prevent due to the live and dead viruses in the serum contaminating the host. Additionally, the adjuvants (including aluminum hydroxide, formaldehyde, and thimerosal) used as preservatives are also highly toxic to the immune system and can cause a variety of illnesses and auto-immune disorders, including what we’re seeing so much of now with the entire Autism Spectrum Disorder in our youth following their childhood vaccinations. Obviously, I’ve chosen to focus exclusively on the devastation to human health wrought by vaccinations in this article. I’ve also chosen to go from the earliest times on record in the use of vaccines up to 1947, which is when the National Security Act was signed that started a new era of post-WWII bio-warfare against “enemies of the state” both foreign and domestic. I’ll pick it up there and bring it up to date in Part 2. 1667 The apparent danger of using animals serums foreign to human beings and animal serums foreign to other animals is reported in medical literature in when lambs blood was unsuccessfully used as a human blood transfusion. (Sir Graham Wilson, The Hazards of Immunization, London 1967, Athlone Press). 1667 Epidemics of smallpox, dysentery begin. 1668 Merck begins an apothecary shop in Darmstadt, Germany. 1669 Outbreak of cholera in China. 1670 Measles and tertian fever epidemics displace cholera. 1672 Dysentery becomes mild and some smallpox occurs. 1673 Inoculation against smallpox appears in Denmark. (See 1778). 1674 First mention of diabetes mellitus in British Pharmaceutice Rationalis, by Thomas Willis, member of the Royal College of Physicians. 1675 Malaria epidemic in England and discovery of “Peruvian bark” (quinine). 1712 First record of vaccinations for smallpox in France. 1719 Outbreak of the plague in Marseilles, France through 1720. 1721 In the United States, a clergyman named Cotton Mather attempts to introduce a crude form of smallpox vaccination by smearing smallpox pus into scratches in healthy people. Over 220 people are treated during the first six months of experimentation. Only six had no apparent reaction. Mather was bitterly attacked for recommending this practice in Boston, Massachusetts. 1723 First record of smallpox immunization in Ireland, when a doctor in Dublin inoculates 25 people. Three died, and the custom was briefly abandoned. 1724 First record of vaccination for smallpox in Germany. It soon fell into disfavor due to the number of deaths. Years later, doctors were able to reintroduce it. 1754 Inoculation for smallpox is introduced in Rome. The practice was soon stopped because of the number of deaths it caused. Later, the medical profession would successfully reintroduce it. 1763 Epidemic of smallpox in France wipes out a large part of the population. It was immediately attributed to inoculation, and the practice was prohibited by the French government for five years. 1763 The first recorded episode of biological warfare in the United States occurs when white colonial settlers give smallpox-infected blankets to Native Americans who sought friendly relations. Also a significant case of genocide. 1768 The medical profession in France is successful in re-instituting vaccination for smallpox. 1778 Danish physicians move to open two major vaccination houses in Denmark by order of the King. 1778 In Italy, infants were inoculated by Neapolitan nurses without the knowledge of parents. 1790 Edward Jenner buys a medical degree from St. Andrews University for £15. 1791 Edward Jenner vaccinates his 18 month old son with swine-pox. In 1798, he vaccinates his son with cow-pox. His son will die of TB at the age of 21. 1798 General vaccine programs against cowpox instituted in the U.S.
1801 First widespread experimentation with vaccines begins. 1802 The British government gives Edward Jenner £10,000 for continued experimentation with “smallpox vaccine.” The paradigm that vaccines provide “lifetime immunity” is abandoned, and the concept of “re-vaccination” is sanctioned. 1809 Massachusetts encourages its towns to make provision for the vaccination of inhabitants with cow pox vaccine. 1822 The British government advances Edward Jenner another £20,000 for “smallpox vaccine” experimentation. Jenner suppresses reports which indicate his concept his causing more death than saving lives. 1831 Smallpox epidemic in Wurtemberg, Germany, where 995 vaccinated people succumb to the disease. 1831 In Marseilles, France, 2,000 vaccinated people are stricken with smallpox. 1838 Smallpox epidemic in England. 1847 American Medical Association (AMA) organized in the U.S.
1848 Rockefeller interests establish prime goal of control of U.S. medical system. 1853 In England, the Compulsory Vaccination Act. From 1853 to 1860, vaccination reached 75% of the live births and more than 90% of the population. 1857 Vaccination in England is enforced by fines. Smallpox epidemic begins in England that lasts until 1859. Over 14,000 die. 1858 England experiences a 7 year epidemic of Pertussis (ending in 1865) in which 120,000 die. 1860 Introduction of antibiotics and immunization into the U.S. (Through 1896). 1867 Vaccination Act of 1867 in England begins to elicit protest from the population and increase in the number of anti-vaccination groups. 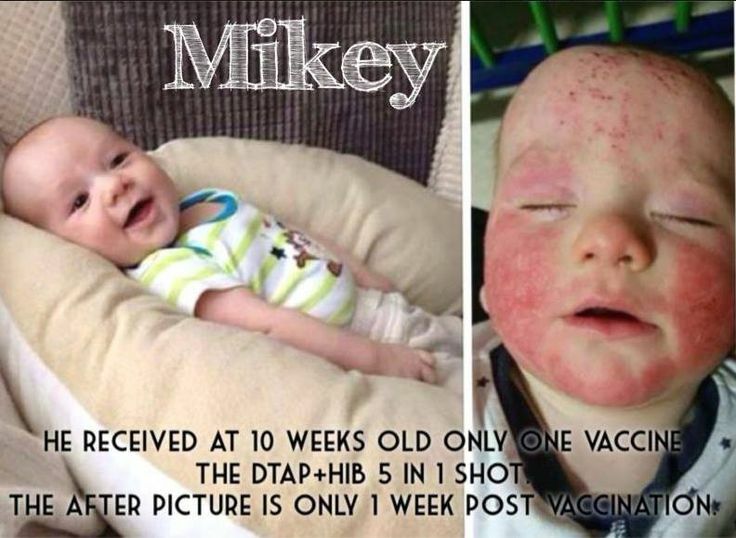 It compelled the vaccination of a baby within the first 90 days of its life. Those who objected would be continually badgered by magistrates and fined until the child turned 14. The law was passed on the assurance of medical officials that smallpox vaccinations were safe. 1867 Nonpayment of fines for skipping smallpox vaccination result in harsh penalties. 1870 Third major smallpox epidemic in England begins and lasts until 1872. Over 44,800 die. 1871 In Birmingham, England, from 1871 to 1874, there were 7,706 cases of smallpox. Out of these, 6,795 had been vaccinated. 1871 In Bavaria, Germany, vaccination is compulsory and re-vaccination is commonplace. Out of 30,472 cases of smallpox, 29,429 had been vaccinated. 1871 Worldwide epidemic of smallpox begins. It claims 8 million people worldwide. 1871 Select committee of the Privy Council convened to inquire into the Vaccination Act of 1867 (England), as 97.5% of the people who died from smallpox were vaccinated for it. 1872 Japan institutes compulsory smallpox vaccination. Within 20 years 165,000 smallpox cases manifest themselves. 1884 In England, more than 1700 children vaccinated for smallpox die of syphilis. 1884 Dr. Sobatta of the German Army reports on the results of vaccination to the German Vaccination Commission, which subsequently publishes data proving that re-vaccination does not work. 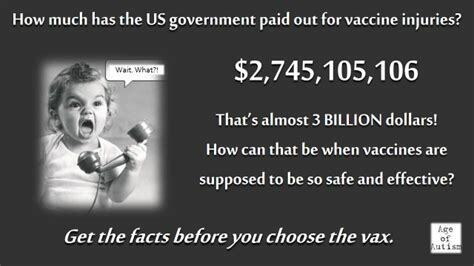 Deaths from vaccination are routinely covered up by physicians. 1886 A seven year period begins in Japan where 25,474,370 vaccinations and re-vaccinations are performed in Japan, representing 66% of the entire population of Japan. During that period, there are 165,774 cases of smallpox with 28,979 deaths. (See 1955). 1888 Bacteriological Institute in Odessa, Russia, tries its hand at a vaccine for anthrax. Over 4,500 sheep are vaccinated; 3,700 of them die from the vaccination. 1889 In England, a royal commission is appointed to inquire into certain aspects of the vaccination question. The committee would be in session for 7 years and would issue 6 reports, with the final report in 1896. The result of the final report was the Vaccination Act of 1898. 1895 Diphtheria vaccination program begins. Over the period lasting until 1907, 63,249 cases of diphtheria were treated with anti-toxin. Over 8,900 died, giving a fatality rate of 14%. Over the same period, 11,716 cases were not treated with anti-toxin, of which 703 died, giving a fatality rate of 6%. 1898 Rockefeller interests prime goal of control of medical education in U.S.A.
1902 The Chicago Health Department develops its “vaccination creed,” which states that “true vaccination repeated until it ‘no longer takes’ always prevents smallpox. Nothing else does.” The policy is immediately taken up by the U.S. military. 1904 Carnegie Institution of Washington establishes a biological experiment station at Cold Spring Harbor, New York. Eugenicist Charles B. Davenport is assigned to be director. 1905 Eleven states in the U.S. have compulsory vaccination laws; 34 states do not. No states physically force injections on citizens. 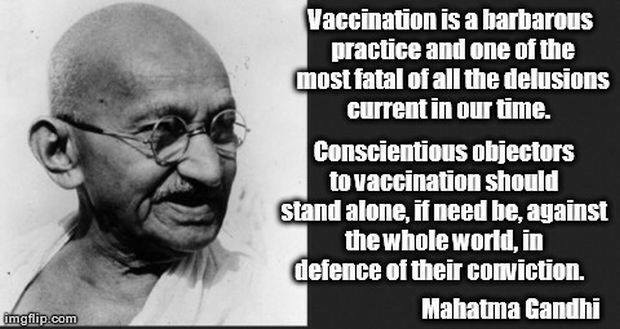 Vaccination was made compulsory without state legislation providing for analysis of its history. 1907 England passes the Vaccination Act of 1907, after the newly elected government comes to power. The act allowed a statutory objection from a parent relative to a child vaccination before the child was four months old. 1907 Indiana passes the world’s first compulsory sterilization law for “all confirmed criminals, idiots, rapists and imbeciles” who were confined in state institutions. By 1908, 30 states passed similar laws. 1909 New York Press, January 26, 1909, publishes a report by W.B. Clark which states, “cancer was practically unknown until cowpox vaccination began to be introduced. I have seen 200 cases of cancer, and I never saw a case of cancer in an unvaccinated person.” Scientific evidence begins to mount that where human lymph is employed in a vaccine, syphilis, leprosy and TB soon follow. Where calf lymph is employed in the creation of a vaccine, TB and cancer soon follow. (Cancer and Vaccination by Esculapius). 1911 General vaccination programs against typhoid begin in the United States. 1912 First whooping cough (Pertussis) vaccine created by two French bacteriologists, Jules Bordet and Octave Gengou, who wanted to use it in Tunisia. After they grew Pertussis bacteria in large pots, they killed it with heat, mixed it with formaldehyde (used to embalm bodies) and injected it into children. 1917 Wagner von Jauregg treats syphilitic paralysis by injecting malaria. 1918 Great influenza epidemic attributed to widespread use of vaccines. 1919 Diptheria vaccinations injure 60 and kill 10 in Texas. 1921 BCG tuberculosis vaccine developed. 1922 A study by Samuel Torrey Orton connects emotional disturbance with neurological problems. This insight was lost after World War II when psychology, psychiatry, and psychoanalysis became popular, breaking the connection. The emotional disturbances caused by vaccines then became financial fodder for the new psych-industries. With the causes suppressed, a new industry was born. 1924 Diphtheria vaccinations kill 25 in Bridgewater, CT and 20 in Concord, NH. 1924 Diphtheria vaccinations kill 6 in Baden, Austria. 1925 Danish researcher Thorvald Madsen tries a modified Pertussis vaccine during an epidemic in the Faroe Islands. It did not prevent Pertussis. (See 1933). 1925 Doctors at the Paris Academy of Medicine discuss deaths occurring shortly after vaccination in Holland and other European countries. 1925 In England, less than 50% of infants are vaccinated for smallpox. 6 deaths occur. (See 1872). 1925 General vaccine programs against tuberculosis began in the United States. 1927 Diphtheria vaccinations injure 37 and kill 5 people in China. 1927 British government appoints a committee to inquire into “vaccine lymph,” as it is noticed that the “glycerinated calf lymph” used in vaccinations causes deaths from “sleepy sickness.” Two London professors bring notice of the problem to the government in 1922. It takes 5 years before the government responds. 1927 Smallpox in England dwindles almost to the vanishing point. Fatality of the unvaccinated cases is less than half of the vaccinated cases. 1928 Cases of post-vaccination encephalitis force creation of two Committees of Investigation in Britain. 1930 Max Theiler develops a yellow fever vaccine. 1930 Diptheria vaccinations injure 32 and kill 16 in Columbia. 1931 Cornelius Rhoads, a North American pathologist at the Rockefeller Institute for Medical Investigations in Puerto Rico, carries out an experiment on Puerto Ricans deliberately infecting them with cancer. Thirteen die. In a letter leaked to the Puerto Rican Nationalist Party, Rhoads wrote, “the Puerto Ricans (sic) are lazy and degenerate. What the island needs is something to exterminate the entire population. I have done my best to further the extermination.” The president of the PRNP brings the case to the press, and a legal investigation is initiated. The prosecutor exonerates Rhoads, calling him “a mentally ill person or a man with few scruples.” Rhoads goes on in later years to direct the establishment of U.S. Army chemical warfare labs in Maryland, Utah, and Panama, for which he was awarded the Legion of Merit in 1945. (See 1945, Rhoads). 1931 Roosevelt endorses polio “immune serum,” precursor to vaccines in 1950’s. 1932 The U.S. Public Health Service initiates a study in Tuskegee, Alabama, where black men are given syphilis. Four hundred men were unwittingly given the disease. No medical care was offered. The study ended when it was discovered in 1972, after 40 years. The office supervising this study was the predecessor of the Center for Disease Control unit now in charge of the AIDS program. 1932 Diphtheria vaccines injure 171 and kill 1 in Charolles, France. 1932 Research (Young) indicates that neuritis is commonly precipitated following vaccination with anti-tetanus, anti-pneumococcal, and anti-meningitis serums. 1933 Danish researcher Thorvald Madsen discovers the Pertussis vaccines ability to kill infants without warning (SID). He reports that two babies vaccinated immediately after birth died in a few minutes. 1933 American researchers report that children react to Pertussis vaccine with fever, convulsions, and collapse. 1933 Vaccination programs against Yellow Fever begin in the United States. 1933 Compulsory immunization instituted in Geneva. 1933 Diphtheria cases decline in Britain over the period of a year. 1936 Pertussis vaccine is introduced in the United States. Autism begins to appear in children shortly thereafter. 1938 Fifty-eight British physicians sign a mandate against compulsory immunization in Guernsey point to the virtual disappearance of Diphtheria in Sweden, a country without Diphtheria vaccination. 1938 The idea of “booster shots” arose as a “solution” to poor antibody response in infants and newborns. These become customary in the 1940’s. 1938 Compulsory immunization instituted in Hungary. Diphtheria cases rise 35% by 1940. 1939 Compulsory vaccination in Germany raises diphtheria cases to 150,000. 1940 Germany orders compulsory mass immunization for children. As a result, by 1945, Germany’s Diphtheria cases increase from 40,000 to 250,000. 1943 American vaccine researcher Pearl Kendrick reports that adding a metallic salt seemed to heighten the capacity of the Pertussis vaccine to produce anti-bodies. (Metal salt is an “adjuvant” in this way). Some metallic salts used are those of aluminum (alum). Pearl Kendrick is the researcher that urged that Pertussis vaccine be combined with Diphtheria vaccine. Later the Tetanus vaccine was added, producing the nefarious DPT Vaccine. 1943 General vaccine program against influenza begins in the U.S.
1943 Infantile paralysis epidemic kills 1200 and cripples more in U.S.
1943 Child psychologist Leo Kanner observes a new illness appearing in U.S. children, “inborn autistic disturbance of affective contact.” The problem became known as “infantile autism” or simply “autism.” Outstanding features of this new problem: self-absorbed alienation, inability to relate in the ordinary way to people and situations from the very beginning of life, detachment, nervous hostility with strangers, emotional bluntness and isolation, impaired relationships, and reading with little or no comprehension and inability to process experience. As a result of this process, gaining wisdom and learning from experience becomes impossible. 1943 Diphtheria cases in Nazi occupied France rise to 47,000 after Germans force compulsory vaccination. In nearby Norway, which refused vaccinations, there were 50 cases of Diphtheria. 1944 Asperger in Vienna describes the first cases of adult “autism” to appear. 1945 A survey of 10,000 boys in the U.S. having had the smallpox vaccination also notes that 6% were associated with crime. 1945 Japan surrenders twice, followed by U.S. bombing of Hiroshima/Nagasaki and a third and final surrender. The Allies mandate compulsory vaccination in Japan. The first cases of autism follow pertussis vaccine introduction. 1946 U.S. Government Pertussis vaccine expert Margaret Pittman and FDA’s Charles Kendrick decide to test Pertussis vaccine by injecting it into the brains of mice and see how many survive. 1946 Werne and Garrow describe the deaths of identical twins within 24 hours of their second Pertussis shot. 1946 Dr. Gerson demonstrates medical proof of complete remissions of cancer in over 33% of his patients before the Pepper-Neeley Congressional Sub-Committee for Hearings on S1875, a bill to authorize the president to wage war on cancer. Lobbying forces for surgery, radiation, and chemotherapy defeat the bill by four votes. The bill supported research into dietary means for preventing and reversing cancer. Gerson’s publications were black-listed and he lost his license to practice medicine in New York. 1947 Matthew Brody at the Brooklyn Hospital gives detailed descriptions of two cases of brain damage leading to death in children receiving Pertussis shots. 1947 National Security Act established in the United States in order to permit the extension and continuation of Nazi efforts in the United States under cover of “national security,” setting the stage for chemical, biological, and electronic sensitization of the population for the remainder of the 20th century. Efforts begin to convince the American public that their “enemy” is Communism, not fascism, setting the stage for the upcoming McCarthy period and the sham known as “the cold war” which would extend and continue the military industrial/pharmaceutical complex. 1947 Charles Posner of the Harvard Medical School Department of Neurology writes, “almost any vaccination can lead to noninfectious inflammatory reaction involving the nervous system. The common denominator consists of vascularity that is often associated with demyelination.” (demyelination is the stripping of the insulation away from the nerves). 1947 The British Medical Research Council begins testing 50,000 children in Britain with the Pertussis vaccine. All children tested are more than 14 months old (not newborns). Eight infants had convulsions within 72 hours of the shot, 34 had convulsions within 28 days of the shot. British doctors denied a connection between the vaccine and the convulsions, declaring the tests a success and began administering it to all British children. Despite the Fact that none of the tests were conducted on children under 14 months old (newborns and babies), the United States holds the tests in evidence that the vaccine is safe for newborns as young as 6 weeks of age. The testing would continue until 1957.